After watching the amazing breakthrough video of Ethan blinking his answers to his mom, Alexia's questions, Jacob Smilg, 13 immediately knew what he wanted to build for Ethan Kadish. Jacob got to work programming and wiring his @arduino and @adafruit LED board to craft an impressive Communication Yes/No Board for Ethan to use with his family and friends. 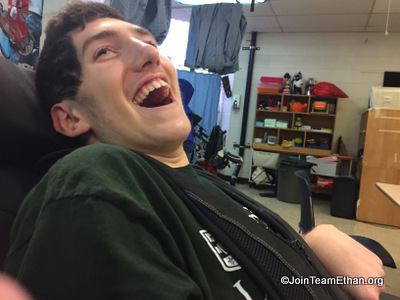 Jacob is an 8th grader at Sycamore Jr. High School in Cincinnati, Ohio and a URJ-GUCI camper.